The Australian population are generally healthy to various levels. Unfortunately the same does not hold true for the lawns of Melbourne. Ninety per cent of lawns are suffering from malnutrition and as a result they do not tolerate the wear that backyard activities often bring. Under nourished lawns suffer greater weed invasion issues and have poor root systems. They don’t recover well from wear and dry periods. So what can be done? When the timing is right get out there and feed the lawn. Your lawn will repay you by looking great for your family activities, social functions and be capable of withstanding the backyard Cricket and Footy battles . Most lawns will benefit from an application of Lawn Food that has a high Nitrogen content. Look on the packet. You will see an analysis listing the percentage of Nitrogen, Phosphorous and Potassium (N P K) as three numbers. Typically Lawn Food has a higher number for Nitrogen (N) which is the first number compared to the Phosphorous (P) and Potassium (K) numbers. If your soil is very sandy consider using an organic fertilizer such as chicken manure pellets. There are several on the market with no or low odor and they are easy to spread. They give a quick boost of Nitrogen and the organic content aids in retaining nutrients for subsequent applications of fertilizer. If you are near Cranbourne or Geelong you can visit an Anco store where our trained staff can advise you further on lawn nutrition. 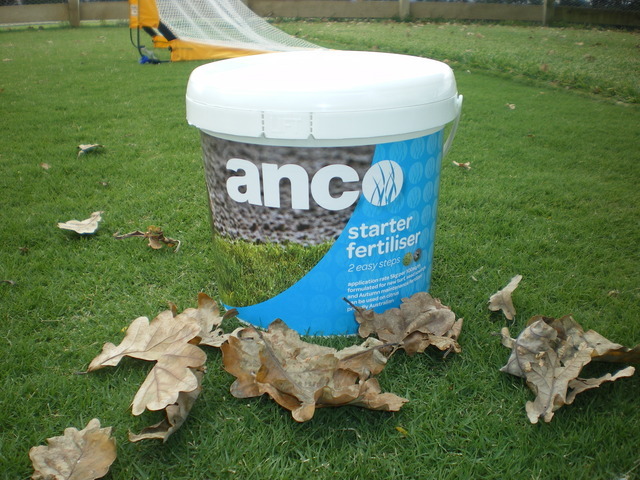 The Lawn solutions stores dotted around Melbourne also stock premium fertilisers designed for all lawn types. This weekend when you are having a meal remember that your lawn would also love a feed.